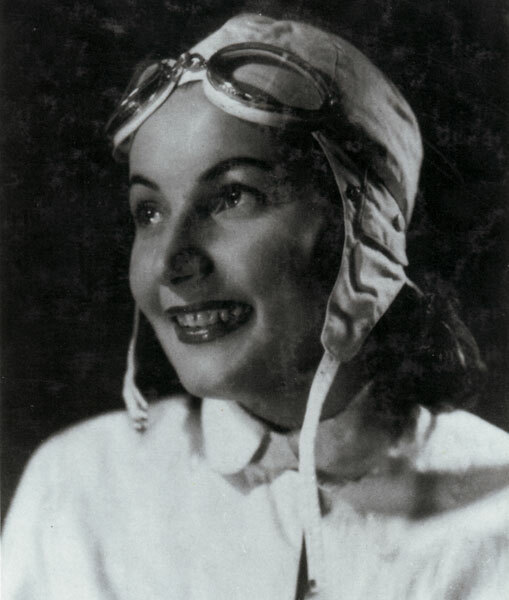 March 8th is the International Women’s Day, and so it seems appropriate to remember a woman in aviation. There are many well known female pilots, starting with Harriet Quimby who was the very first woman in the US to receive a pilot license. Today, we commemorate the first Croatian female pilot, born this month a hundred years ago. Katarina Matanović was born in March 1913 in what was then the Croatian province of the Austro-Hungarian Empire. When she saw an advert about a pilot school opening in Zagreb in 1935, that was it for her. She enrolled and received her pilot certificate the next year, becoming the first Croatian (and Yugoslav) female pilot. Not satisfied with simple flying, she also became the first Yugoslav woman to sky-dive, and an acomplished sky-diver. She performed as a pilot and as a sky-diver and became a well-known attraction at airshows around the country. 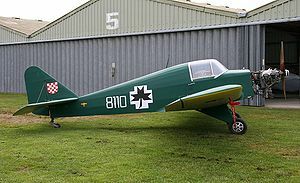 At the outbreak of the Second World War she became a Liutenant in the Croatian Air Force flying the Avia FL-3 liaison airplane. During the war, in 1944 she lost her husband, also a pilot, shot down by the Allies, and a few days later she herself was injured in the British bombing of Zagreb. After the Second World War, the Communist authorities in Yugoslavia were not greatly keen on her since she fought on the losing side, and she slipped into obscurity. However when Croatia became independent again, she was remembered, awarded a service medal, became an honorary member of the Zagreb Aeroklub and finally given the recognition she deserved for her achievements in such a male-dominated field. Katarina died in April 2003. Tags: Mountain Flying, pilot, private pilot, Recreational pilot, sport pilot, tailwheel.